With the Lego toy line now encompassing all sorts of media, from television to video games, it seemed only inevitable that a feature film would don the Lego name. But while The Lego Movie may boast the charming aesthetics of the toy line, it ends up being a largely inconsistent affair. The Lego Movie tells the story of Emmet (Chris Pratt), an average, everyday construction worker in the city of Bricksburg. He doesn’t do or say much to stand out from the rest of the crowd, which makes it all the more surprising when he is revealed to be “The Special” a legendary figure proposed to save the world from Lord Business (Will Farrell). Lord Business is hell-bent on bringing order to the world, and plans to freeze Bricksburg permanently into place with an item known as the Kragle (KRAzy GLuE). Emmet, along with sure-to-be romantic interest Wyldstyle (Elizabeth Banks), the blind wizard Vitruvius (Morgan Freeman) and Batman (Will Arnett), set out to put a stop to Lord Business’ plot. It’s a silly storyline that plays off the usual tropes of action/adventure movies, it’s sometimes effective, but it often works against itself. The parodies are spot-on, and provide the occasional laugh. The problem is parodying these tropes doesn’t change the fact that The Lego Movie is still shackling itself to them. It’s a by-the-books adventure that believes itself better than by-the-books adventures. It becomes all the more magnified by the movie’s insistence on telling the audience to be creative, yet it doesn’t adhere to its own message. Be grateful for the visuals then, as they are just about the only thing The Lego Movie can call its own. It’s a CG animation, but it mimics the look and feel of stop-motion, more than likely inspired by the countless Lego fan films found on YouTube. The characters look and move as you would expect Lego figures would. The environments look like they were constructed by the colorful toy bricks (including water, which makes for the movie’s most fun visuals), and if you look closely, you’ll even see fingerprints on some of the characters. So the visuals are nice, though the novelty only works for so long. You can only care so much about the lively visuals when the story doesn’t share in their inventiveness. The Lego Movie is always at the ready to mock the cliches of other movies, but is ignorant to the fact that it’s in the same boat. It’s the very thing it claims to be smarter than. 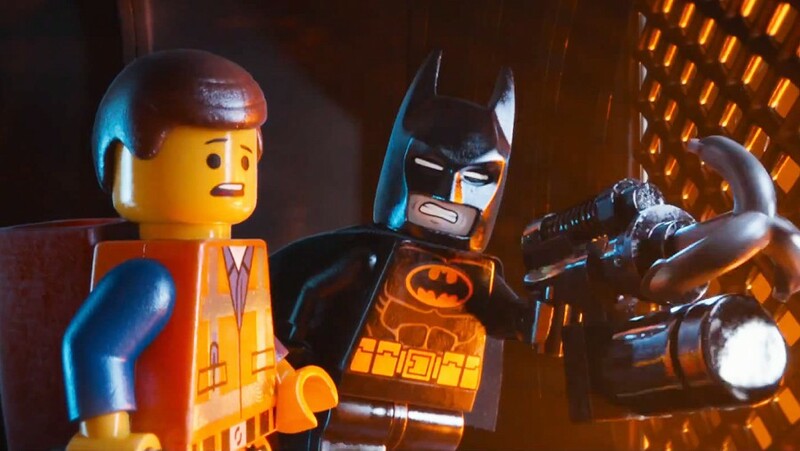 Younger audiences might not mind, they’ll probably just love it for being The Lego Movie. No doubt the presence of Batman, as well as cameos from Star Wars, Ninja Turtles and countless other franchises might even make older audiences giddy. But at the end of the day, the fun of The Lego Movie can only go so far. It can preach creativity all it wants, but if it itself feels like any other average animated movie, then there’s nothing “special” about it.